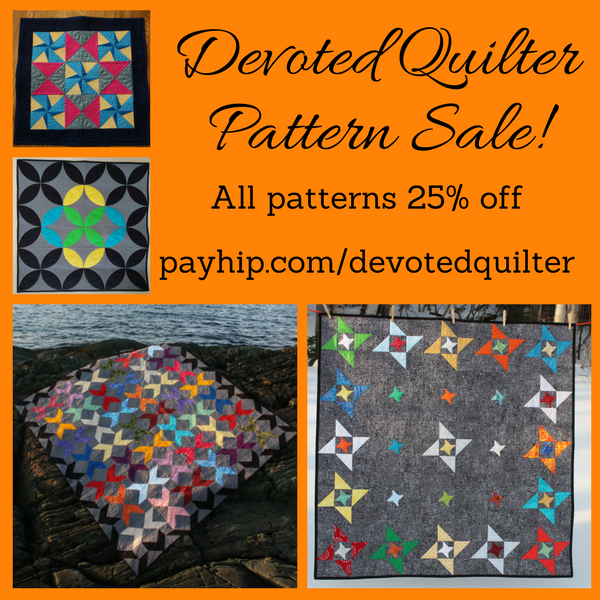 Devoted Quilter: Black Friday Pattern Sale! Do you need a new mini quilt pattern (or two) to help you get all your Christmas gifts made in time? Or are you looking to make something special for yourself? Either way, I've got you covered! The Devoted Quilter Black Friday pattern sale is on now! Don't wait, though. When I wake up Tuesday morning, I'll change the listings back to full price.